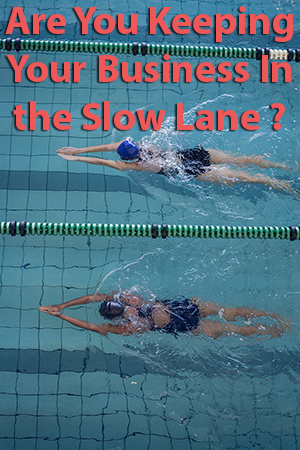 Are You Keeping Your Business In the Slow Lane ? “In one startling study, women paid themselves 18% less than the men paid themselves for identical work.” Standford Graduate School of Business. While this famous study by John Jost is 17 years old, I discovered numerous other studies showing similar results. What got me thinking about this was a conversation with my sister. 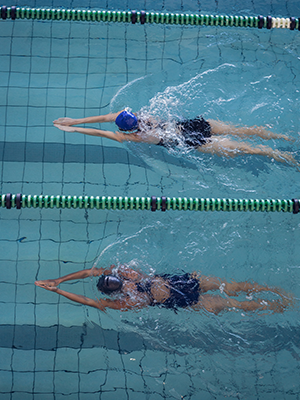 Have you ever gone to a pool to swim lengths? Often they’ll have lanes designated “fast” or “slow. My sister, a personal trainer, spends a fair bit of time at the pool. She noted that almost without exception women will go to the slow lane, men the fast lane, regardless of their fitness level and swimming ability. It made me think. I do the same thing. I was a competitive swimmer as a teen. Although I’m considerably slower today than at 16, about 90 percent of the time I’m the fastest person in the pool when I go to swim lengths. Yet I never choose the fast lane. It got me wondering: am I doing that in my business? Have I been working in the fast lane but charging slow lane prices? How about you? Are you undervaluing yourself? Are you ready to change? 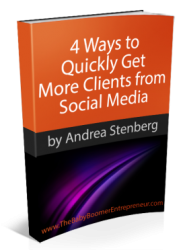 Leave a comment and let me know if you’re ready to “swim in the fast lane”.